My work experience includes a machine operator at a local Union Coal Mine for 17 years, where I held a Vice President position of the Safety Committee. Routinely demonstrating the Rules and Regulations in accordance with Federal Safety Inspectors. After the closing of mine I worked for Ford Motor Sports in sales for Nascar and Ford apparel. My position included organization and responsibility for inventory and making sure merchandise and trailer arrived in a timely manner at all 36 Nascar events. 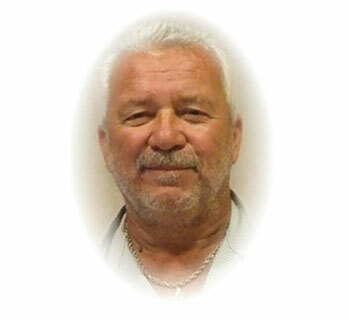 The last 15 years l have been employed at Bochek’s Collision Center as a maintenance supervisor. I have extensive organizational and knowledge in electrical and plumbing skills, maintaining multiple rental properties. I am active in my local Volunteer Fire Department, Chairperson for fund raising and ticket sells. I am active in my church organizing Parish Festival for past 16 years, leading parish members to accommodate Games, Food and entertainment for over 500 in attendance. I David Alan Carlock have been a member of the RBO for 59 years. I am married to Donna Marian! Carlock for 35 years. We have a son David Angelo Carlock. Donna has been a RBO member for 14 years and David Angelo has been a RBO member for 32 years. I am the son of Daniel P. Carlock 1st Vice President of the RBO and Mary Carlock. My father has been active member of the RBO for past 50 years and has instilled in myself and family to be proud of our heritage and faith and continue the important message of Faith and Heritage for many years to come.